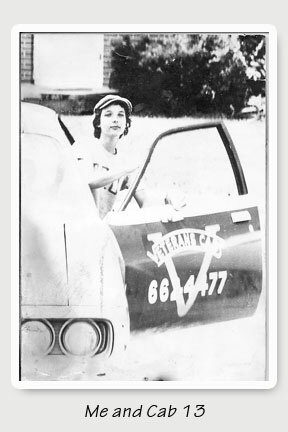 I was 19 years old, still wet behind the ears, when I decided to take a summer job driving a cab — almost unheard of for a woman back in 1975. I kept the job through my senior year and into the next summer, accruing enough intriguing interactions and experiences to fill a grease-stained notebook. After I graduated, I wrote a series of short stories about some of those experiences. One of them was published in an Ohio literary magazine. It was my first foray into creative writing. Only recently have I revisted this project, rewriting pieces and adding new ones. Here is the first in the series.